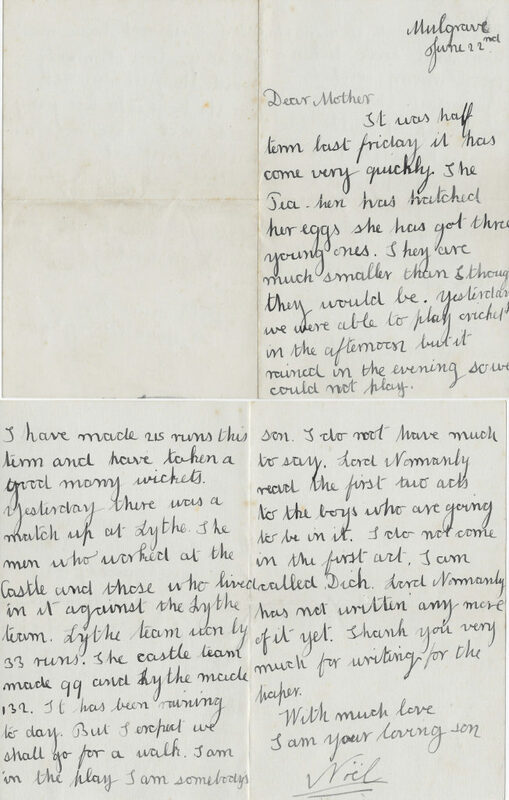 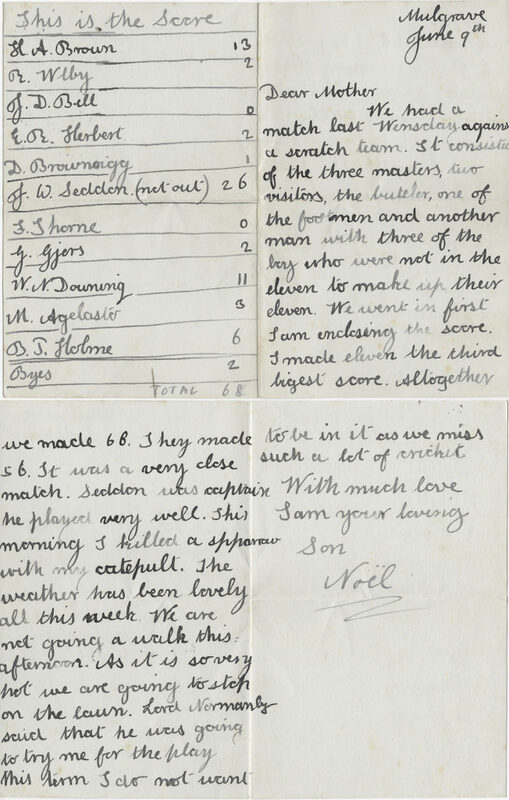 Six Letters from Noel Downing to his mother from Mulgrave Castle School in Whitby have survived. 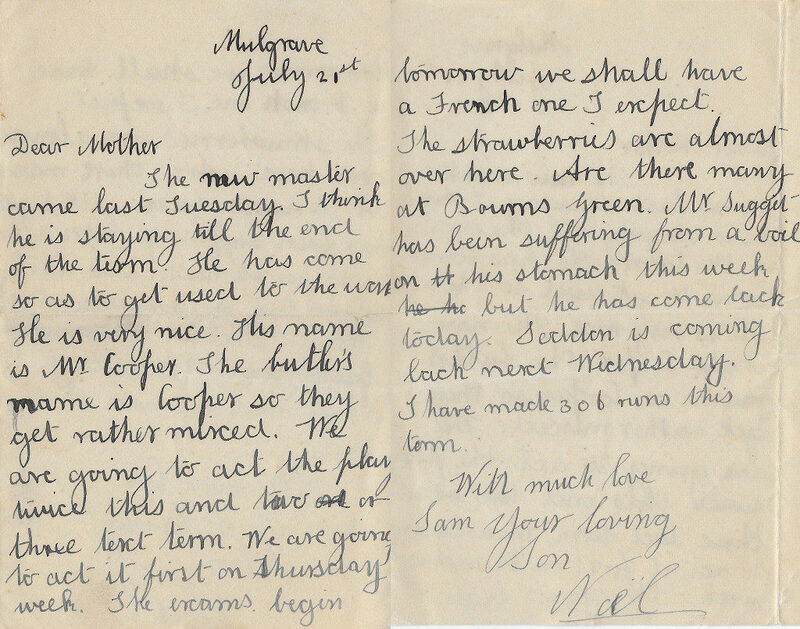 This one dating from 14 July 1901 is well remembered for the humorous portrayal of Mr Suggit’s liaison with Miss Tieman behind a tree at the school ‘strawberry tea’. 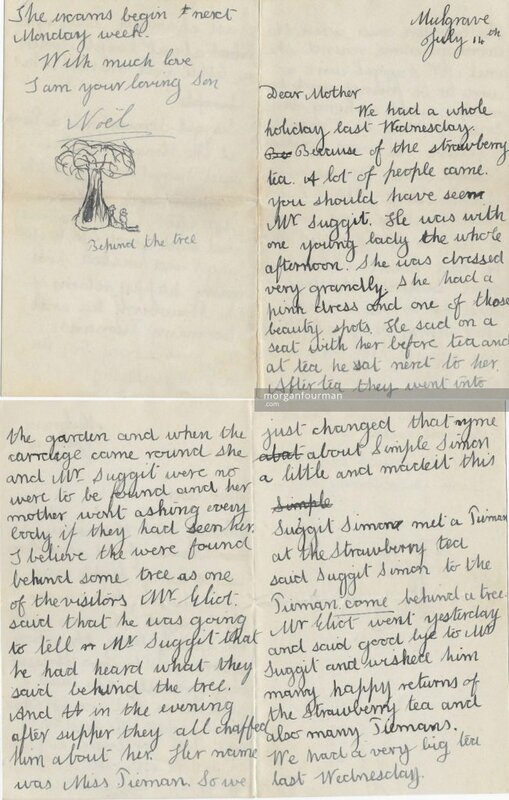 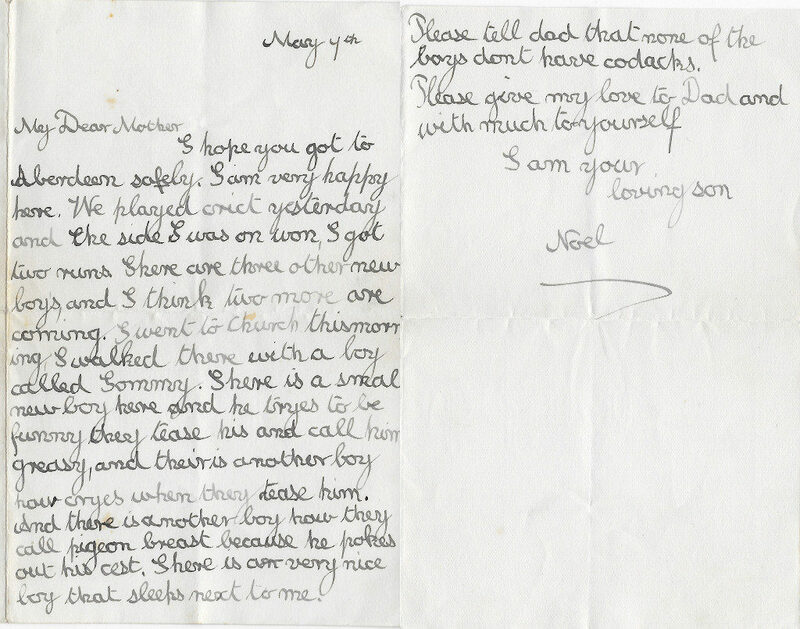 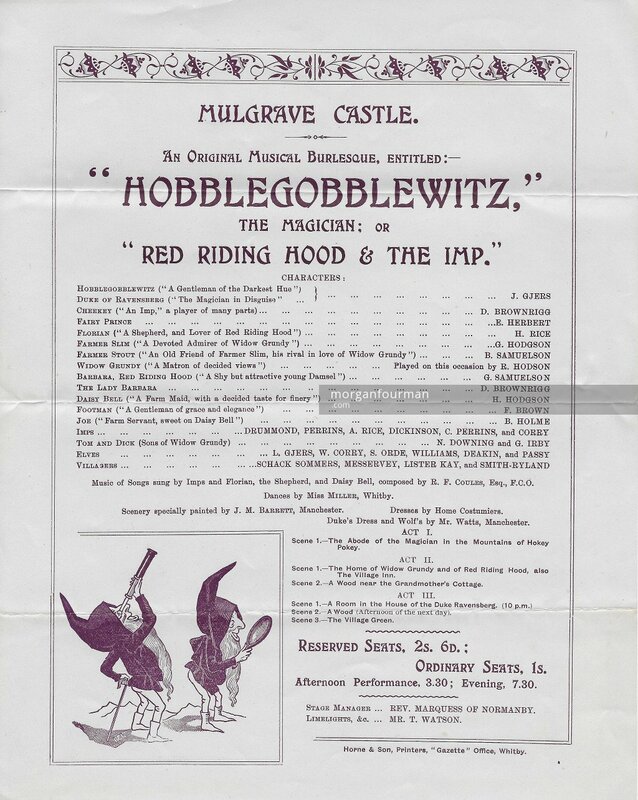 Another letter refers to the school play where Noel got a part of “somebody’s son”. 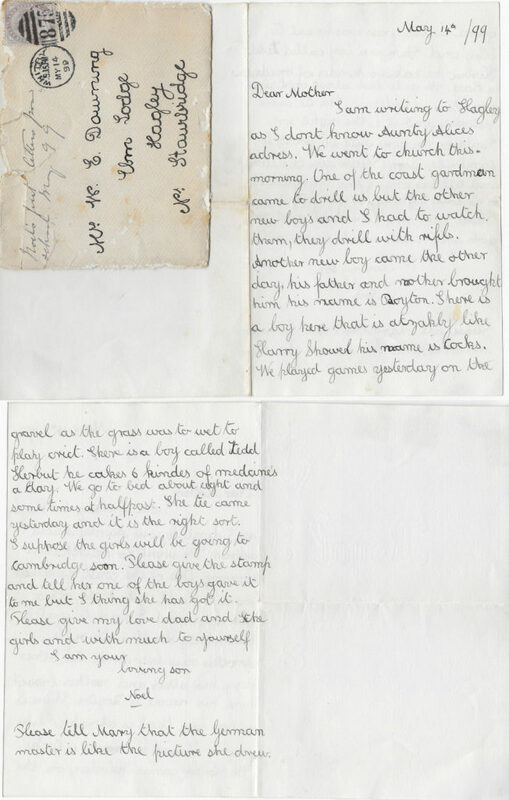 All letters are listed below.